Yes, It is Time to Renew Your Passion for Your Profession! First Posted October 2010 as Where Is Your Joy? What is a day in your office like for you? Is going to the office work, or fun? Is it just the thing you do to pay your bills and support your family? Is it what you thought it would be when you were in Chiropractic school? If not, why not? How much of your time and energy are consumed by administrative chores like paperwork or dealing with and trying to motivate staff? Are you stressed by a high office overhead? Do you feel like a salesman trying to sell your patients on extensive treatment programs? Do you have to beat the bush for new patients? How much time and energy do you spend trying to educate people about Chiropractic? Are you having fun? If your focus is on serving people then having fun and making money are inevitable. It really is as simple as that. The key lies in giving the patient what they want. They all want the same thing — to feel better and be free of pain as fast and inexpensively as possible. Give them what they want and your patients will love you, trust you and spread the word. When your patients see that you have no agenda other than helping them, they will trust you. As trust and confidence in you build, they will come to think of you not just as their Chiropractor, but also as a friend and confidant. You may become the doctor they consult first for all manner of health-related issues. Many will check with you about the recommendations of other physicians. They will do this because they respect your opinion and have confidence in your judgment. And because they know you care. When a coming to see you is something that patients look forward to as opposed to a time-consuming, expensive chore to be endured, you will be on your way to a practice with minimal stress and a lot of joy. Joy is contagious. When patients perceive your joy in helping them, they will be happy and they will want to share the joy. They will want to tell their family and friends about it. Your practice will grow. Your stress will diminish. Your days will be fun. Your work will be your joy. That is your success. How do you find your joy? Do what you love, do it well, have fun doing it, follow your passion, focus on your patients. Find your joy and the money will follow. How do I find my joy? I find joy from being the best chiropractor that I can be. Do I think that I am the best chiropractor in the world? Hell no! But I will die trying. The truth is there is no one who can be called “The Best.” We can only each strive to be the best we can be. However, I am privileged to know some really great chiropractors. They are not only great technicians; they are people with a great depth of knowledge, experience, and above all wisdom. These are the doctors I would go to if I had a serious health challenge. They are the doctors who not only have holistic practices, but holistic minds. They see big pictures, not microcosms. This year I agreed to do a series of articles for The American Chiropractor magazine. Each article called for me to interview a Chiropractic technique innovator and teacher. It proved to be one of the best things to happen to me in a long time. It introduced me to some of our profession’s rising superstars. Since the year 2000 I had been Lay’n Low in Abaco surfing, sailing and diving, semi-retired in paradise. Problem is — paradise is an intellectual wasteland. I really needed some intellectual stimulation. Learning about the profession’s latest innovations directly from the people who did the research and development, proved to be just what I wanted. Then I took it a step further. Instead of just writing about the doctor’s techniques, I took it upon myself to study and become proficient in them, remaining true to the pledge I made to myself and my patients 43 years ago: To always give my patients the benefit of the best state of the art care chiropractic has to offer. Today, at age 65, practicing in the out islands of the Bahamas, I am more excited and enthusiastic than ever about my work and the constantly evolving art and science of Chiropractic with its expanding role in healthcare. I am semi-retired and living in “paradise,” but if you really want to know the truth, it often seems I have a lot more fun in the office taking care of people than when I am out “playing.” After 43 years in practice, I still really love what I do. I would like to share with you how I keep my referral-only cash practice fun, exciting, joyful, rewarding and constantly growing. We live in very interesting, challenging times. Some DCs are frightened and negative about the state of health care in the U.S. I am not. I think it is a blessing. It is an opportunity to help more people than ever before. The public is justifiably more and more suspicious and distrustful of the medical paradigm. 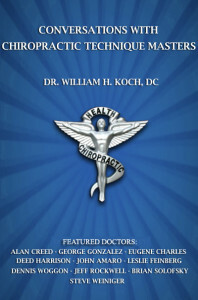 They are eagerly embracing Chiropractic’s natural, holistic, non-drug approach to health care. Forty-three years ago, when I began in practice, Chiropractic was on the fringes of respectability. My generation of DCs, building on the work of our forefathers, brought the profession out of the shadows and into the mainstream. As a result, today you can practice anywhere. I have known chiropractors who would dive in naively where angels would fear tread, but there are far more who refer patients out to the MDs the minute they felt challenged by a case. This is because they did not have the experience, confidence or tools they needed. If they had, they most likely would have been able to help the patient instead of throwing them to the wolves. My mission is to help as many chiropractors as I can to elevate their skills and confidence so they can better serve their patients and have well deserved sense of pride in their own professional expertise. This pride must be based in fact, not hype or self-aggrandizement. When you know that you know what you are supposed to know, you are powerful. Joy and fulfillment is found in serving people well, relieving pain, restoring health and the appreciation that is expressed by grateful patients. Beyond that, performing with excellence is its own reward. As I said, I’ve been practicing Chiropractic for 43 years. I’ve had my ups and downs, successes and failures. There are lessons to be learned in both. Experience is the ultimate teacher. 43 years gives a guy a lot of accumulated experience. You find out the hard way what works and what doesn’t. For me now, after so many years in practice, it is important for me to share what I have learned through all that experience, and in the process, shorten the learning curve and smooth the road for others. What a waste it would be to accumulate a lifetime of knowledge and experience but not share it with those who can use it to help others. My ChiroPractice Made Perfect blog and seminars are the means I have chosen to begin sharing the experience, expertise and insights that I’ve accumulated. In my hands-on technique seminars, you will see many advanced techniques in action in a real-life setting. You will see how a variety of techniques are efficiently integrated for maximum results. You will see that the best chiropractic technologies are not only compatible but can complement and enhance one another. I believe we must have many specialized weapons in our arsenal that we can apply to a variety of situations and needs. We need to be able to customize our approach to the ever-changing needs of our patients. Our patients are ever changing. If you really think about it, you will never see the same patient twice. Just like the river you put your foot in today is different than the same river will be when you put your foot in it tomorrow. Any technique that does not allow us to accommodate to the changing needs of the patient is doomed to failure. We as chiropractors come to the table with our own strengths and weaknesses. Just as each patient is unique, so is each doctor. Each of us must find the techniques that we can use most effectively. That is one of the biggest challenges for all of us, but especially for young, less experienced chiropractors. One of the most important things I have to offer is my expertise in many fine, effective chiropractic technologies and specialized procedures. I have been the beneficiary of the knowledge and experience shared with me by my fantastic teachers and mentors, people who were generous and patient, giving freely and joyously to help me be the best chiropractor I could be. It is a beautiful progression. Think about it. Thanks to the work and generosity of others, they have, through me, been able to help untold thousands of people. Now it is my turn to share what I have learned with you. It is a passing of the torch. Not that I am ready to hang up my guns, not by a long shot. I just feel that the time is right and the need is great for what I have to offer the current generation of chiropractors. The most successful chiropractors I have known truly enjoy their practices. I am convinced that taking joy in what you do is a prerequisite for success. Coincidentally it is also a recipe for health and longevity. I have personally known many chiropractors who have practiced well into their eighties and even a few into their nineties. I can tell you for sure, that they weren’t doing it for the money. It is my personal goal to be one of them. If you want to improve your skills, attract more patients and have more fun and joy in your practice, consider joining me for one of my Koch Protocols Seminars. The next one is at the end of October at my office in Mount Dora. We have one spot left — just waiting for you.